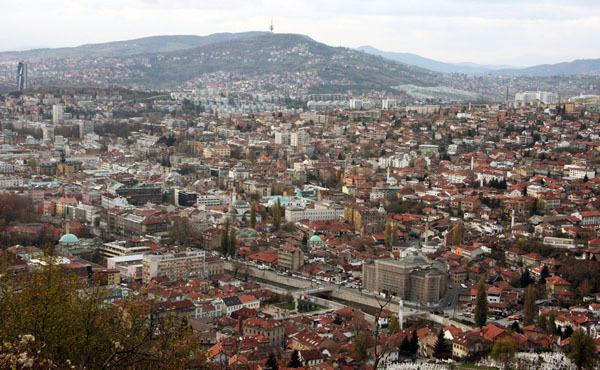 SARAJEVO – Implementation of effective national coordination and regional cooperation strategies to counter terrorism will be in focus of a high-level workshop targeting countries of South East Europe, which will open in Sarajevo on Wednesday, 27 October 2010. The event will be co-hosted by the Ministry of Security of Bosnia and Herzegovina and the Regional Cooperation Council (RCC) Secretariat. Close to 100 senior officials involved in the coordination of national counter-terrorism activities will participate in the two-day meeting. They will be joined by representatives from international, regional and sub-regional organizations to share experiences and good practices in countering terrorism. Throughout the workshop panellists will present their experiences and challenges in coordinating national counter-terrorism efforts, as well as in cooperating with national, regional and international bodies. They will also outline areas for improvement and make recommendations for the future. The event will be opened by Sadik Ahmetovic, Minister of Security of Bosnia and Herzegovina; Hido Biscevic, RCC Secretary General; Mike Smith, Assistant Secretary-General of the United Nations and Executive Director of the Counter-Terrorism Committee Executive Directorate (CTED); and Ambassador Helmut Böck, Permanent Representative of Austria to the United Nations in Vienna. The regional workshop is organized by CTED, the RCC Secretariat, the Southeast European Cooperative Initiative for Combating Trans-Border Crime (SECI Center) and the United Nations Office on Drugs and Crime (UNODC), in cooperation with the United Nations Counter-Terrorism Implementation Task Force (CTITF). The event is sponsored by Austria, Bosnia and Herzegovina, and Turkey. Speakers will include Gürbüz Bahadir, Director of the SECI Center; Jean-Paul Laborde, Chair of the CTITF; Cecilia Ruthström-Ruin, Chief of the Terrorism Prevention Branch of the UNODC; Aylin Sekizkök, Head of Department of International Cooperation on Counter Terrorism, Turkish Ministry of Foreign Affairs; and Marta Requena, Counter Terrorism Coordinator of the Council of Europe. Journalists are invited to the opening session of the workshop, which will take place from 9 to 9.30 a.m. on 27 October 2010, at the White Hall of the Parliamentary Assembly of Bosnia and Herzegovina, Trg BiH 1, 71000 Sarajevo.